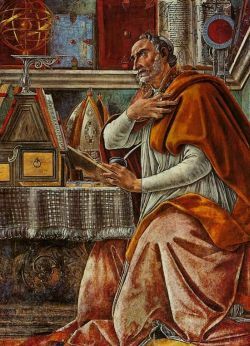 "...pro se orare necessitas cogit, pro altero autem, caritas fraternitatis hortatur. Dulcior autem ante Deum est oratio, non quam necessitas transmittit, sed quam caritas fraternitatis commendat." "Necessity makes us pray for ourselves, fraternal charity urges us to pray for others. But sweeter before God is prayer which is not sent from necessity, but commended by fraternal charity." The purpose of the Sodality is to unite the prayers of members for the conversion of those dear to them. There can be few Catholics today who do not have family members or close friends who have either lapsed from the practice of the Faith, or never had it; it is a particular source of grief when parents see children and grandchildren living without the support of the Sacraments. 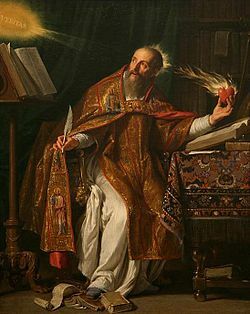 We take heart from the example of St Augustine, converted at last by the prayers and tears of his mother, St Monica, and wish to demonstrate our fellowship with others in the same position, by praying not only for our own dear ones, but for those of others who will do the same for ours. Sodality members undertake to say every day the prayer Pro devotis amicis, taken from the Roman Missal, for the Sodality’s intention; members who are priests undertake to say one Mass a month for this intention. The intention is the conversion or return to the Faith of family and friends of Sodality members. The intended beneficiaries of our prayers are not listed, except in the hearts of Sodality members. The Latin Mass Society, to which the Sodality is affiliated, will arrange and announce in advance at least one public, Traditional Sung (or Solemn) Mass for the Sodality’s intentions a year. Please note that the undertaking, by members, to pray for the conversion of others does not bind under pain of sin. Sodality members, both lay and clerical, may add other Masses, prayers, and devotions, for the Sodality's intention, and are encouraged to do so. If you let us know of initiatives, we will publicise them. Members will be asked annually if they wish to make a contribution to the costs of the Sodality's public Mass or Masses. Membership of the Sodality is free and open to all; the sign-up form includes an option to give a voluntary donation to the cost of the annual Sodality Mass(es) if you wish to do so. You may also make a donation to the Sodality for this purpose at any point by using the PayPal button below. Deus, qui caritátis dona per grátiam Sancti Spíritus tuórum fidélium córdibus infudísti : da fámulis et famulábus tuis, pro quibus tuam deprecámur cleméntiam, salútem mentis et córporis ; ut te tota virtúte díligant, et quæ tibi plácita sunt, tota dilectióne perfíciant. 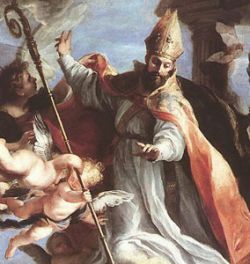 Per Dóminum nostrum Iesum Christum Fílium tuum, qui tecum vivit et regnat in unitáte eiúsdem Spíritus Sancti, Deus, per ómnia sǽcula sæculórum. Amen.